BOSSIER CITY, La., July 28, 2017 – The residents of the Marlboro Ridge Housing Community were promised equestrian facilities before the recession hit and brought the project to a halt about 10 years ago. Some things are worth waiting for. 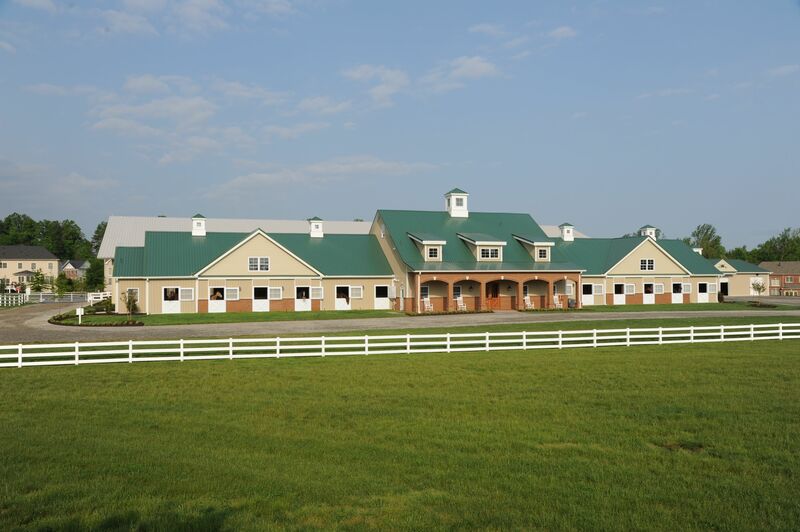 After the long wait, Fuog/InterBuild Inc. of Purceville, Va., was given the go-ahead to construct the centerpiece horse barn in Upper Marlboro, Md. The 9,821-square-foot post-frame facility is topped with Max-Rib panels from McElroy Metal and sided with a combination of Max-Rib panels, HardiPlank lap siding and some brick accents. Toll Brothers, a Fortune 500 construction company building homes nationwide, has put up a couple hundred high-end single-family and townhouse homes in this community. Marlboro Ridge features a resort-style swimming pool, state-of-the-art fitness center, miles of recreational trails for walking, biking and horseback riding, multipurpose athletic fields, playgrounds, tennis courts and the award-winning Marlboro Ridge Equestrian Center. 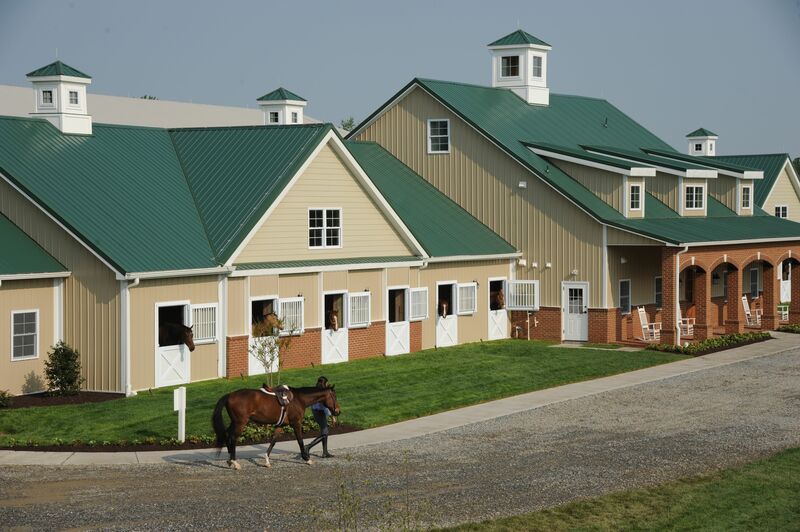 The National Frame Building Association named the Marlboro Ridge Equestrian Center its 2016 Building of the Year in the category for Horse Barns greater than 5,000 square feet. Awards were announced at the Frame Building Expo in Nashville in February 2017. 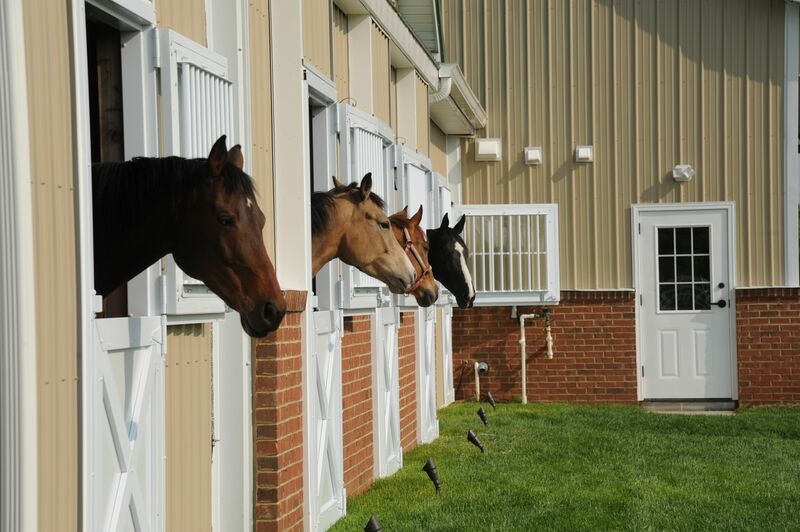 The equestrian center is 192 feet long, 38 feet wide and 30 feet high with a finished apartment for a full-time groundskeeper on the second floor. Hochmuth is proud of the finished facility, highlighted by five cupolas constructed onsite. The McElroy Metal Max-Rib panel is a 36-inch wide, 3/4-inch high ribbed panel suited for commercial, agricultural and residential use. The 29-gauge Max-Rib roofing panels are Evergreen, while the wall panels are Surrey Beige. Timber Tech Engineering Inc. of Denver, Pa., oversaw the engineering on the award-winning project. Dimitry Resnik, P.E., says Timber Tech deals in only post-frame construction, including commercial buildings and churches. Metal is the most common roofing and wall panels used in post-frame construction, and it works well for this elaborate horse barn project. The barn has 22 stalls, a large tack room, office, laundry, three restrooms, the finished apartment, hay storage, feed rooms and a stand-alone utility room. Builder: Fuog/InterBuild Inc., Purceville, Va.